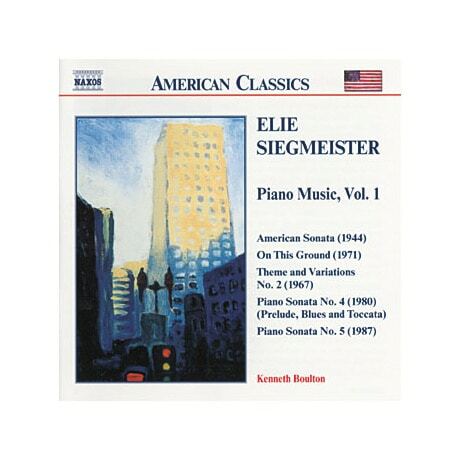 One of America's preeminent composers, Elie Siegmeister (190991) found in the piano a potent vehicle for creative expression. He called his American Sonata of 1944—the first of five major sonatas for solo piano—"an American panorama, blending jazzy and folk-like themes with purely classical form." Other pieces include On This Ground (a five-movement tribute to Americana), Theme and Variations no. 2, Piano Sonata no. 4 ("Prelude, Blues and Toccata"), and Piano Sonata no. 5.